FMike and John Delnero, owners of Delnero Furniture Company, saw the need to create a sub division to teach the next generation their craft. They hope to pass the knowledge and experience gained from the last three generations on to the fourth. 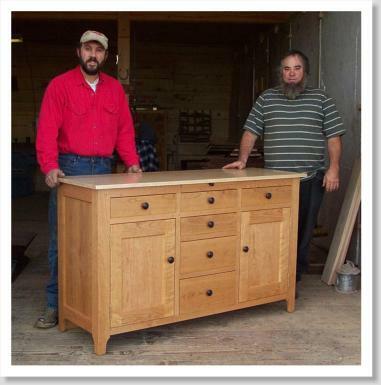 Mike's son, Bobby Delnero and a friend, Justin Winters own a partnership of Fourth Generation Furniture. Under Mr. Delnero's watchful eye, they've made each piece seen on this website. 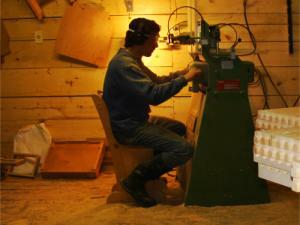 Beginning with cutting shapes on the band saw for his Dad, Bobby has been working in the shop since he was 6. Just recently he�s started to turn wood knobs for projects on the lathe. 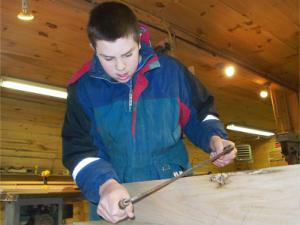 He is 16 years old and hopes to increase his wood working skills so that one day, he may continue his father�s business. After graduating from high school, Justin came to the Delnero Company to work under Mr. Delnero as an apprentice. While his experience was limited to home projects and more along the lines of home improvement, Justin is learning fast and has had his hand in all the projects that Fourth Generation Furniture has made. Justin hopes to eventually support a family through wood crafting and continue passing the craft on to his future children. This passing of the torch, so to speak, is the foundation of our company. We are the Fourth Generation to continue our father�s business and learn their craft... a craft that we hope will continue after we�re gone. We envision our children continuing to build quality hand crafted furniture and improve upon what we�ve made. and finally, a willingness work and learn old ways to produce better furniture. And with that, we would like to thank you for taking the time to read this and hope that you've enjoyed it. 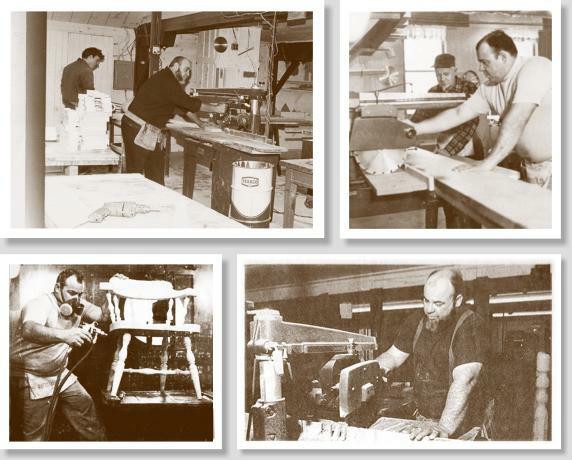 The history of Delnero Furniture goes back four generations to when Great Gramps handed down the wood tools that gave birth to a heritage of fine furniture. Top Left: Uncle John and Poppy (Bob) Delnero. Top Right: Gramps (Floyd Gerrish) and Poppy Delnero.